"Theoretical considerations imply that these planets are rocky, with a composition of iron and silicate," wrote Francois Fressin of the Harvard-Smithsonian Center for Astrophysics, the leader of the team that made the discovery. "The outer planet could have developed a thick water vapour atmosphere." The two newly-found planets, called Kepler-20e and Kepler-20f orbiting a star about 950 light-years away, are too distant to be seen directly. Scientists measured the faint dimming of their host star as they passed in front of it toi estimate their size. 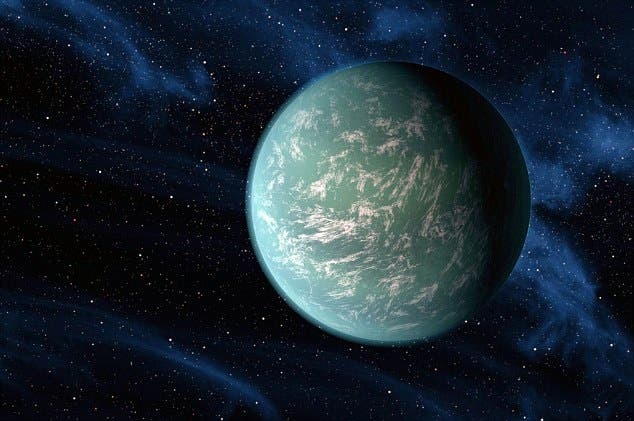 Kepler-20e and f are probably too hot to be friendly to life — one of them circles its sun in just six Earth days, and the other does it in 19. This newest Kepler find increases the odds that some day soon we will find a planet of just the right size and temperature to have at least a chance of being a habitable. In less than 20 years, astronomers have gone from not knowing if other planets exist in the universe, to our current Kepler cataclog on almost 2000 planets. Our Milky Way galaxy may be home to at least two billion Earthlike planets, a recent study based on initial data from from Kepler space telescope shows — a number that is actually far lower than many scientists anticipated. Based on what Kepler's found so far, the study authors think that up to 2.7 percent of all sunlike stars in the Milky Way host so-called Earth analogs. As of this February, Kepler has confirmed 15 new planets and found an additional 1,235 planet candidates, including the smallest planet yet spied outside our solar system. Kepler will collect transit data for a minimum of three and a half years, allowing for a more complete planetary census at a later date. "There are about a hundred billion sunlike stars within the Milky Way," said study co-author Joe Catanzarite, a scientist with NASA's Jet Propulsion Laboratory (JPL). "Two percent of those might have Earth analogs, so you have two billion Earth analog planets in the galaxy," he added. "Then you start thinking about other galaxies. There are something like 50 billion, and if each one has two billion Earthlike planets, it's mind boggling." Although the figure seems large, Catanzarite and co-author Michael Shao, also of JPL, say their results actually show that Earths are "relatively scarce," which means a substantial effort will be needed to identify suitable target stars for followup missions designed to study the chemical signatures of Earth-size worlds. The chemical signals may hint whether the planets have oxygen atmospheres, liquid water — or even signs of life. The Kepler telescope has been scanning a patch of sky near the constellation Cygnus which can be considered a representative sample of what exists throughout the Milky Way. The Kepler space telescope analyze the light from the 156,000 stars in its field of view searching for stars that dim periodically—signs that significant objects are orbiting these stars. To extrapolate the number of possible Earths in the Milky Way, Catanzarite and Shao started by defining an Earth analog based on a transiting planet's size and the distance at which the planet orbits its star. "A famous 1993 paper calculated the inner and outer distance of the so-called Goldilocks zone"—not too hot, not too cold — "where liquid water could exist on a planet's surface," Catanzarite observed. "But more recently people have been saying those boundaries are conservative. Maybe you could go closer or farther. For instance, because of greenhouse gases a planet could be farther away and still be warm, or because of clouds, which the previous models didn't take into account, you could be closer but keep the surface cool." In general, though, an orbit similar to Earth's seems ideal: "Closer than Earth and you'll fry; water would turn to steam. If you're too far, water would freeze into ice." "People generally agreed that the smallest habitable planet would be 0.8 Earth radii … or roughly half of Earth's mass. The reason is that a lower mass planet wouldn't be able to hold on to an oxygen atmosphere," Catanzarite said. "Out to two Earth radii is the largest planet we'd call Earthlike. More massive planets start to accumulate thick hydrogen atmospheres, like Neptune or Uranus," with unbearable atmospheric pressures. Other planets may exist that we can't see because of their orbital inclination, so the team used previous exoplanet data to make mathematical estimates for the probabilities of these unseen worlds. The results published online this month on arXiv.org showed that, according to the traditional boundaries of the Goldilocks zone, 1.4 percent of sunlike stars should have Earth analogs. If you accept the wider, more modern version of the habitable zone, 2.7 percent of sunlike stars likely host Earths. The study authors predict that Kepler will eventually find 12 Earth analog planets in its field of view — and may have already found 4 such worlds among its initial candidates. "This study completely underestimates the frequency of Earths," according to MIT planetary scientist Sara Seager, a member of the Kepler science team who noted that Kepler's just getting started, so its data is far from complete. "Say you're doing a census of the United States," she said. "If you go to California and knock on every door, you can then extrapolate out to the rest of the country. That's what Kepler's doing." "If Kepler's really going to find the answer in a few years, I'm happy to just wait rather than speculate", Seager said. 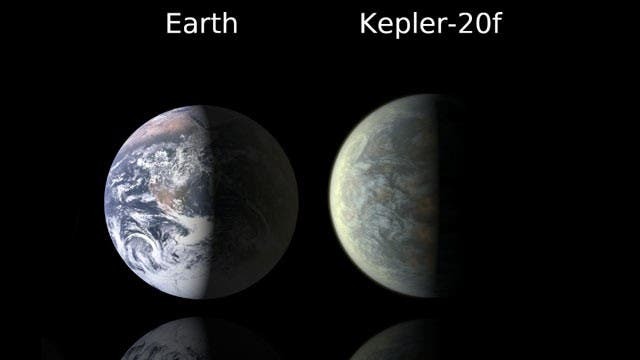 The other big concern is that, with the data Kepler can collect, it's impossible to say whether a given planet is truly Earthlike. Size alone, for example, doesn't say enough about habitability. "Earth and Venus are about the same mass and size," she said — and by some definitions both worlds fall in our sun's habitable zone. "To me, for a planet to be called an Earth analog you have to have Earth's mass, size, orbit, and know whether there's liquid water on the surface. But you can't know that until we do atmosphere studies," she said. "Kepler can find only Earth-size planets — we'd never use the term 'Earth analog.' Some people are expecting the number of Earths to be higher," Catanzarite said, adding that Seager "may be right" and the new estimate is too low, "but it's still unclear." "We're assuming that for all 156,000 stars, it's possible to detect all small planets of Earthlike radii and orbital distance. If [Kepler] can't, that would make our number an underestimate." What about the possibility of life not only in the Milky Way, but also in the 50 billion galaxies beyond our galactic home-base? New findings from diverse fields are are being brought to bear regarding the central question of the 21st century: How common is life in the Universe? Where can it survive, Will it leave a fossil record, How complex is it. For decades, scientists have been debating the conditions that are needed to replicate an Earth-like probablility of complexity beyond the microbial level. There's not much doubt in the minds of most astrobiologists that based on extremophile life we've discovered recently on Earth (see prior posts below), that life on the microbial level will be discovered sometime in the next twenty years on Mars or on one of Jupiter or Saturn's moons. The three recent key findings for astrobiology are extremophiles, extrasolar planets, and a sense that water may be more ubiquitous even in our own solar neighborhood (in meteors like the Mars' Lafayette, Europa, and the ice frost on polar Mars). This picture has evolved quite suddenly with 1000-plus extrasolar planets found in just the last decade (and none known before around 1995). Even in the oldest globular cluster star systems in our Milky Way galaxy — choked with stars that were born more than 10 billion years ago — there are enough "metals" to make earth-like worlds. According to models of planet formation developed by Harvard's Dimitar Sasselov, a member of the Kepler team, such a planet should be about half again as large as the Earth and composed of rock and water, what the astronomers now call a “super Earth.”for evolved animal life to be present we need to find that sweet "Goldilocks" planet with an exceedingly complex host of conditions present that have given rise the "Rare Earth" hypothesis. The right distance from a star; habitat for complex life; liquid water near surface; far enough to avoid tidal lock; right mass of star with long enough lifetime and not too much ultraviolet; stable planetary orbits; right planet mass to maintain atmosphere and ocean with a solid molten core and enough heat for plate tectonics; a Jupiter-like neighbor to clear out comets and asteroids; plate tectonics to build up land mass, enhance bio-diversity, and enable a magnetic field; not too much, nor too little ocean; a large moon at the right distance to stabilize tilt; a small Mars-like neighbor as possible source to seed Earth-like planet; maintenance of adequate temperature, composition and pressure for plants and animals; a galaxy with enough heavy elements, not too small, elliptical or irregular; right position the galaxy; few giant impacts like 65 million years ago; enough carbon for life, but not enough for runaway greehouse effect; evolution of oxygen and photosythesis; and, of course, biological evolution. In stark contrast to the habitats with highest probability of supporting complex life, the zones and regions of the known universe described below are the ones that astrobiologists have concluded have little or zero chance of supporting life as we know it. The listing of "dead zones" was compliled for Rare Earth — Why Complex Life is Uncommon in the Universe, by Uinversity of Washington scientists Peter D. Ward (Professor of Geological Sciences and Curator of Paleontology) and Donald Brownlee (Professor of Astronomy and member of the National Academy of Sciences). Elliptical Galaxies: Stars are too metal-poor. Solar mass stars have eveloved into giants that are too hot for life on inner planets. Globular Clusters: Although they contain milllions of stars, the stars are too metal poor to have inner planets as large as earth. Solar mass stars have evolved to giants that are too hot for life on inner planets.